Most Bible scholars and theologians, like most Christians, believe life begins at conception. That is the time when the sperm penetrates and fertilizes the egg. It is not what some pro-abortionists claim that life begins at birth. This is contrary to what the Bible says. When the male’s 23 chromosomes and female’s 23 chromosomes combine, a zygote is formed, but is a zygote human? The number of cells has explosive growth at this point and in a few days a blastocyst forms and attaches to woman’s uterine wall. But is it still a human being yet? The Bible would seem to support this. Psalm 139:13-16 says, “For you created my inmost being; you knit me together in my mother’s womb. I praise you because I am fearfully and wonderfully made; your works are wonderful, I know that full well. My frame was not hidden from you when I was made in the secret place, when I was woven together in the depths of the earth. Your eyes saw my unformed body; all the days ordained for me were written in your book before one of them came to be.” What is noteworthy here is that God saw the writer as already being in existence. Even while he was being knit together, he was a human being. His frame was not hidden from God and God saw his “unformed body.” So we see that God indicates from Scripture that life begins at conception. Again the Psalmist writes, “Surely I was sinful at birth, sinful from the time my mother conceived me” (Psalm 51:5). Here the psalmist says that he was sinful at his mother’s conceiving me. There is no mistaking this Hebrew word because conceiving means at the time of conception, so according to the Bible, life actually begins at conception. This is strong evidence that even early, mid, and later-term abortions are the taking of a life. Let’s imagine that I am growing tomatoes and that I plant the tomato seed in the starter cups. I put it in potting soil and water it. There is no mistake that it is a tomato seed because it doesn’t produce an apple tree but a tomato plant. The moment the water and the soil penetrate the seed, it germinates…and it generates a root from the seed. It is now technically a tomato plant. It is a tomato seedling but no less a tomato. If someone came and stomped on my tomato seedling, even though it is not yet grown, would someone say that “I didn’t kill your tomato plant?” No, they are actually destroying a tomato plant but at the seedling stage. Is Birth Control the Same as Abortion? 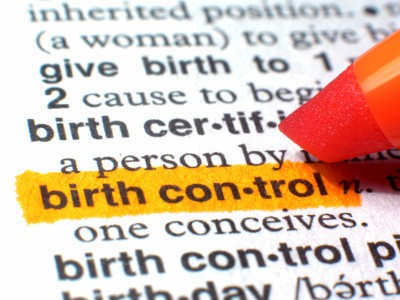 Is birth control equal to abortion? It would not appear to be because conception is the beginning of life as the egg is fertilized by the sperm and it becomes a zygote. An egg can not create a life of itself but it needs the necessary male sperm to create a zygote. A zygote has an equal number of the fathers and mothers chromosomes. In just a few days a blastocyst forms and the human life continues to grow at an amazingly rapid rate. An egg by itself can not be determined to be a human life because it has no male chromosomes and has not became a zygote yet. Birth control is simply prohibiting the fertilization by the male sperm of the female’s egg and so the egg can not become a zygote. It only becomes human when the two become one, much like when a man and woman marry; the two become one in flesh. The man and woman actually do become one flesh…they help to create one human being when the sperm fertilizes the egg and a zygote is created. So like the tomato seed, if someone crushed it, they wouldn’t really be crushing a tomato plant because it has not even sprouted or can not even be said to be a seedling because no soil and water have germinated it. If someone eats a tomato and they swallow the seed, they are not swallowing a tomato plant but a tomato with the seeds being part of it of the tomato. The same principle applies because without the penetration of the male sperm, the female’s egg does not become a zygote and has no chance of becoming one without fertilization. There seems to be no conflict, biblically and biologically speaking, that using birth control takes a human life. If the egg is prevented from being fertilized, no human life has been taken. Many couples who already have several children utilize birth control methods to prevent them from having additional children. Some religions believe that birth control is sin because it takes a human life but biblically and biologically, this does not appear to be the case because the female egg can not possibly be called a viable organism as a zygote because it has not been fertilized. Clearly abortion is the taking of a human life because God describes a person being “knitted together in my mother’s womb”, “being sinful” at conception, and “being woven together” even though the “unformed body” was seen by God’s eyes. There was a death penalty for killing the unborn back in biblical times. Since we can clearly see that once conception occurs and all the way through a woman’s pregnancy, there is a human being inside the mother’s womb. John the Baptist’s father said that his name will be John and Mary was told that her child’s name would be Jesus. John and Jesus were named during the early stages of pregnancy and names indicate that they are already deemed human, before they are born. These individuals were given names before they were even born so life clearly does not begin at birth but at conception and all the way through all the 9 month period of a woman’s pregnancy. So based upon this reasoning, it appears that there is no sin if a woman uses birth control because there is no life being taken. It is only conception that is being prevented. Life begins at conception and so before conception there is no life possible by the mother’s egg as it stands alone. Children are the gift of God but some have more children than they can already afford, therefore I see no reasonable cause that should prohibit a Christian from using birth control methods and in fact, for any male who has already had children, to undergo sterilization. That is their choice. Life begins at conception, when the egg is fertilized by the male sperm…and not before then. Article by: Jack Wellman is a Christian author, freelance writer, and pastor at the Mulvane (KS) Brethren church in Mulvane, Kansas. Jack has attended Southern California Seminary. His books are inexpensive paperbacks that are theological in nature: “Teaching Children The Gospel/How to Raise Godly Children“, “Do Babies Go To Heaven?/Why Does God Allow Suffering?“, and “Blind Chance or Intelligent Design?, Empirical Methodologies & the Bible“. Jack is a father and grandfather who has a BA in history, one in education, and one in science. As long as there is no rule in the bible against contraceptives, then i do not see why not.